The Caribbean island of Saint Lucia has become a world leader in "chocolate tourism": making chocolate enjoyment a centerpiece of your vacation. Saint Lucia chocolate? Yes. While this upscale isle is not the only chocolate destination, it is the most spectacular. Saint Lucia is a fantasy landscape: a tropical beach whose jungle backdrop is the twin peaks of the Pitons mountains, which are extinct volcanoes. Chocolate is part of Saint Lucia's legacy, The island has produced cacao for centuries. The island's mountain slopes are ideal for chocolate growing: cacao trees love rich volcanic soil and shade. In the past, the island's cacao beans were exported to Europe or to Hershey, Pennsylvania to be made into chocolate. 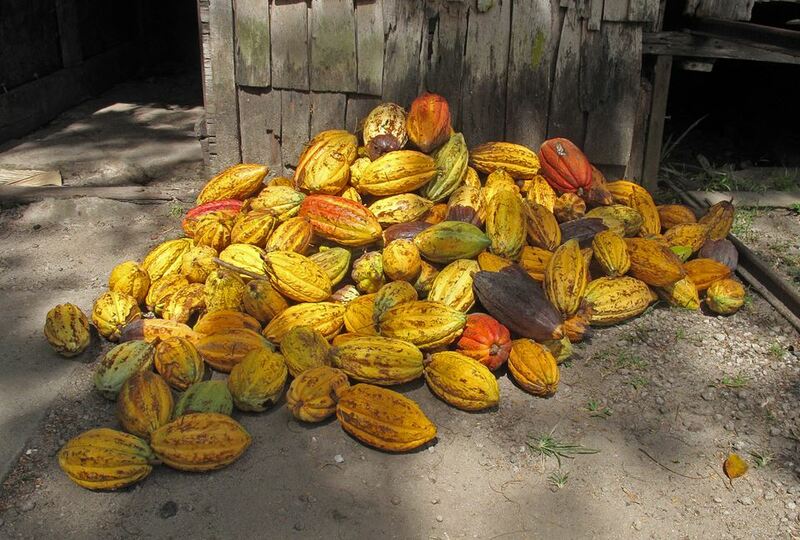 But today, Saint Lucia keeps some of its cacao for its own chocolate production. The island's choco-industry produces jobs and pride for Saint Lucians. Chocolate-making is very labor-intensive, and the process has hardly changed. One modification: the traditional cocoa-rina dance, done barefoot atop cacao beans to polish them, now belongs to the past. Chocolate tourism is now a big deal on Saint Lucia, catering to visitors who seek, celebrate, and possibly crave chocolate. Chocolate tourists tour cacao plantations (or estates), the original source of chocolate. They trace the steps of chocolate-making, from harvesting cacao pods to wrapping chocolate bars. They visit and shop at chocolate retailers, whether elegant boutiques or vendors in local markets. They track down and indulge in cafés and bakeries creating chocolate treats, and savor restaurants whose chefs are committed to great chocolate dishes and desserts. Chocolate tourists may take culinary classes focusing on creating chocolate, and they learn how to taste chocolate like a pro. And they can even stay in chocolate-centric hotels, like Saint Lucia's Boucan by Hotel Chocolat. And today, Saint Lucia is one of the world's hottest destinations for chocolate tourism. The following notes are from Guest Author Christine Lim, who visited Saint Lucia for Luxury Travel and experienced its chocolate tourism. Chocolate from Saint Lucia is for discerning purists. The highest-status chocolate is made entirely on one plantation (called "estate on Satin Lucia) and is therefore called single-estate chocolate. Single-estate Saint Lucia chocolate has its own flavor, much like wine from different vineyards. The flavor of this unique single-estate chocolate is intense and, says Christine, "too concentrated for binging. It should be savored one small bite at a time." On Saint Lucia, Christine quickly found her favorite chocolate dish. She says, "The island's chocolate is best showcased in a devastatingly delicious Saint Lucia banana split." But what does Saint Lucia chocolate taste Like? "Saint Lucia chocolate is not very sugary," says Christine. "It has an intense, less candy-like flavor than conventional chocolate." Why? There is much less sugar in Saint Lucia's chocolate than in Belgian, Dutch, French, American, and other chocolates. Cocoa tea is a Saint Lucia tradition that captivates visitors. In Christine's opinion, "cocoa tea symbolizes Saint Lucia's independence and ingenuity;" It was originated by newly freed slaves as a cheap locally produced alternative to expensively imported coffee beans or tea leaves. Nowadays, cocoa tea is served all over Saint Lucia – from roadside carts to the finest restaurants. Cocoa sticks, used to make cocoa tea, are easy to find in Saint Lucia and make an inspired souvenir. Saint Lucia's chocolate tourists have a variety of ways in which to explore and taste this delicious island crop. Several chocolate-producing plantations offer estate tours. La Dauphine Estate gives complimentary tours. Fond Doux Estate offers a high-end tour package; guests can participate in the cocoa-rina dance. Morne Coubaril Estate offers a more moderately priced lunch and tour. Marquis Estate, Delft Cocoa Estate, and Calabash Cove give tours as well. Some tour operators offer tours that combine several cacao plantation experiences; hotel concierges have the details. 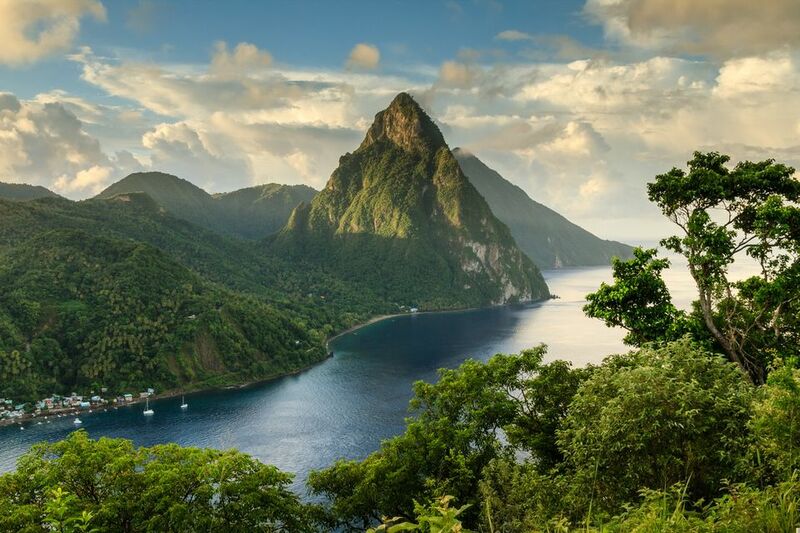 Chocolate travelers to Saint Lucia can stay in or visit Jade Mountain. This is a top St. Lucia hotel that is committed to chocolate production and connoisseurship. The resort's own organic chocolate is single-estate, from Anse Mamin Plantation's Emerald Estate Jade Mountain's chocolate was developed by James Beard Award-winning consulting chef Allen Susser. Says Christine, "Jade Mountain's handmade, 70% dark chocolate bar was simply great." Jade Mountain hosts complimentary tours of its Bean-to-Bar process and celebrates and promotes its chocolate year-round in special dinners and celebrations. Boucan by Hotel Chocolat is irresistible to chocolate connoisseurs. Boucan is the hotel; "Hotel Chocolat" is a Saint Lucia-made, English-owned chocolate brand whose cacao beans are grown on the owners' adjoining Rabot Estate. Boucan is a serene boutique hotel, with only 14 eco-chic individual lodges. The hotel's chocolate is in evidence everywhere: on the menu, in the bar, in the spa, in the guest lodges. In addition, Boucan guests relish a chocolate immersion experience focused on the excellent chocolate produced on-property. This three-hour tour, the interactive Tree to Bar Experience, turns guests into chocolatiers. August is Chocolate Heritage Month on Saint Lucia. It celebrates the island's chocolate -- plus Saint Lucia's history and culture.